Australia-based professional poker player, Tony G, the super-aggressive, king of the rubdown, has made history by winning the inaugural Betfair Asian Poker Tour Main Event. Included here was Irish Poker Tour Grand Final winner from June 2006, Brendan Walls from Ireland, and WPT Bay 101 Finalist, Jeff Kimber from the UK. 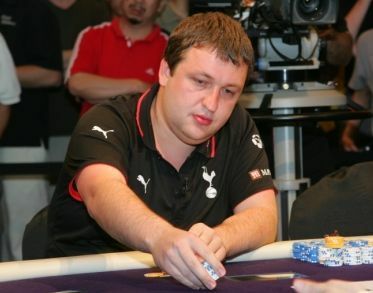 Also lining up was Aussie Millions 2006 winner, Lee Nelson from New Zealand. All of these players had a big deficit in chips however when compared to second placed Tony G and chip leader Samuel Lehtonen from Sweden. Furthermore, they were never going to stand a chance! Tony G took control of the final table just as he said he would do. Nor would the players enjoy a quiet session of poker! Tony G's legendary banter was soon in full flow along with his aggressive table captain style. One by one, Lee Nelson, Samuel Lehtonen, and the others fell to the rail until it was left to local hero Joshua Ang to face the sharp tongue of Tony G by himself. He was soon to find himself all-in after the flop with Ace-Jack but this was no match for the 10-6 with a 10 on the flop that Tony G produced. It was all over and the world's poker players will now wake up to the news that their favourite player had won the Betfair Asian Poker Tour! With this title came a cheque for $451,700 and an act of generosity. Tony G declared that half of the winnings shold be donated to a number of Asian and Australian charities to be nominated by Betfair. "His offer of a fifty per cent donation to charity is extraordinarily generous,"
"I want people to know that poker is sport. This is not a large amount compared to what people like Bill Gates give to charity but it is a gesture to show that it's not all about the money, it's about the competition as well." In addition to this gesture, the Champion also endeared himself further to Singaporeans by giving his trophy, in the design of the Singaporean Merlion, to the runner-up, Joshua Ang, a Singaporean resident. Tony G said it would enable this symbol of Singapore to stay in the country. Ben Fried asked Joshua to bring the Lion back next year when Betfair will return for the Betfair Asian Poker Tour!